If you are new to CrossFit then we recommend you to take our Fundamental classes. In these one on one or small group classes we will introduce you to CrossFit and go through all the foundational movements. 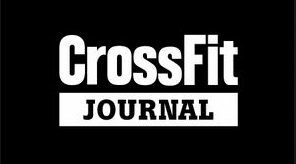 The nine foundational movements are the “building blocks” in CrossFit. These movements are considered as the basic movements each athlete needs to possess because you can use them to construct (or deconstruct) most of the other movements in CrossFit. Do you want more information regarding our Fundamental classes? Feel free to contact us!